Air conditioners today is a necessity in life, as than can save you from tormenting heat in summers. Allowing you for a comfortable life, AC’s are must in every household. Makes a pleasant return to home after a tiring day at work, air conditioner is all that you ask for. Let’s allow us to help you choosing the best air conditioner for your home. If you are looking forward to purchase an AC and confused between different products, this post will help you to select the right one. Here we have selected top 5 Air conditioner brands in the world to make your choice easier. This Japanese brand is also claimed as the best air conditioner company in the world. Standing at the first position Daikin holds the highest demand in global market and a well deserved company. Japanese technology today best know for its quality products and Daikin proves it right. Daikin’s Inverter AC range consumes less power and a really affordable option for you to buy. A Dubai based air conditioner company is named as O General, is best known as dessert AC company. The manufacturing units in Puducherry, produces the most powerful ac in world. It’s optimum cooling facility place it a the second position in our list. If you are not too worried about the budgets, this one is the best you choose. LG made a surprise entry at third position with the launch of its new inverter air conditioner range. The new ISEER ratings makes the LG new AC’s more energy and budget efficient. A variety of technologies such as Himalaya cooling, plasma filtration and inverter technology have made the company stand out at the international market. Apart from their extensive technologies, minimum usage of Polyvinyl Chloride (PVC) for the air conditioning duct is yet another reason for the yearning of this brand. 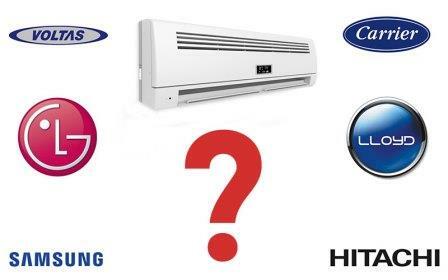 At the fourth position Hitachi is not too far from knowing as the best air-con company in the world. This Japanese company have a huge history as a leading establishment for different technological products in world. It’s air conditioners are widely popular across the globe. If you are looking for a Window AC, Hitachi is the best option to shop for. The only Indian company in our top five list holds the lead in biggest consumer market of Asia. The company has made an impressive image in the world and can be seen in Dubai’s Burj Khalifa, which is fully covered with air conditioners made by Voltas. As an Indian its a proud moment to share a company information who leads in world’s most developed regions.